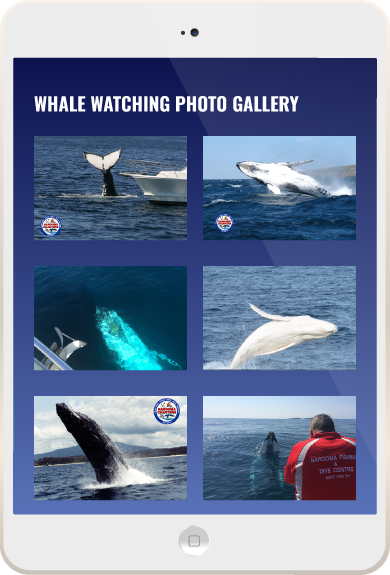 Narooma Whale Watching | Narooma Charters | See Whales & Dolphins! 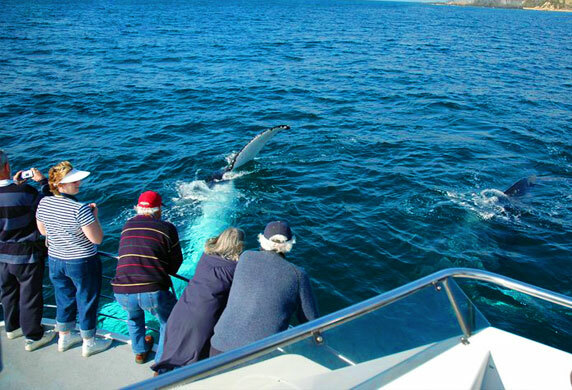 When visiting Narooma, whale watching tours are one of the most popular activities! Throughout September, October & November, warm currents attract migrating whales. 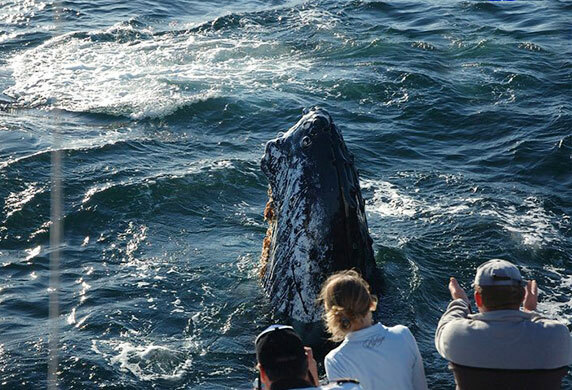 See Humpback whales and many other species frolic in Narooma’s spectacular waters. On our tours, pods of up to 10 whales are a common sight, and they often swim to the boat where they seem curious about the people watching them. In the last ten years we have had a whale spotting success rate of 100%. Each pod of whales on their southern migration stops in the area for up to four weeks and feeds on krill or jellyfish, and when they have had their fill they play about around the pristine waters of Montague Island. See the whales breach in full, slap their tails and check out the mother whales with their baby calves – right up close! A wide variety of whales are seen on our whale watching tours including Humpbacks, Southern Rights, Fin Whales, Bryde’s Whales, Sei Whales, Blue Whales, and Killer Whales, and large pods of Dolphins are an added delight. Whales are often sighted only 5 minutes from port. 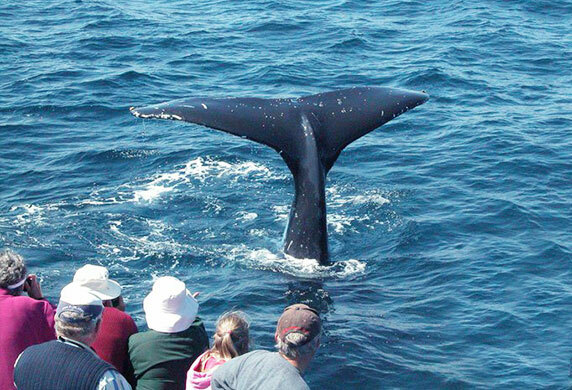 Enjoy time watching whales on the way to Montague Island. You’ll see the two seal colonies as we pass the island. Enjoy time watching the whales on the way back.